Philips Research Technologies recently created a new robot to help research human-robot interactions. 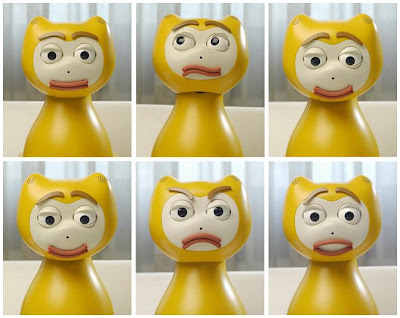 With the ability to generate a wide range of emotional facial responses, to see, and to speak, iCat is the 'purr-fect' platform to study human-robot interactions because it offers the ability to give clear and concise feedback to its human counterparts. Whoever said all cats are aloof has obviously not met iCat.